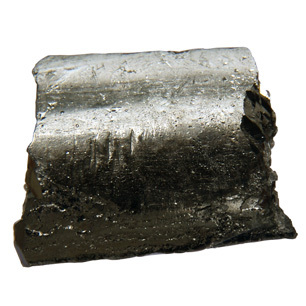 Antimony is a toxic, lustrous grey semi-metallic element. Antimony trioxide is the most common compound form, used as a flame retardant. It's also found in batteries, pigments, glass and ceramics. Antimony enters drinking water as a result of human activity, especially through coal burning and the smelting of antimony-containing ores. Other sources include discharge from petroleum refineries, fire retardants, ceramics, electronics and solder. Antimony can have effects similar to arsenic, its elemental neighbor. Oral exposure can trigger vomiting, abdominal cramps, diarrhea and cardiac toxicity. Some people who drink water containing antimony well in excess of the maximum contaminant level [0.006 milligrams per Liter (mg/L)] for many years could experience increases in blood cholesterol and decreases in blood sugar. The EPA recommends coagulation/filtration and reverse osmosis for the treatment of antimony.